production line, Workbench, warehouse rack, logistic rack. Aluminum products are widely used in production, automotive, electronics, assembly, logistics and other industries. 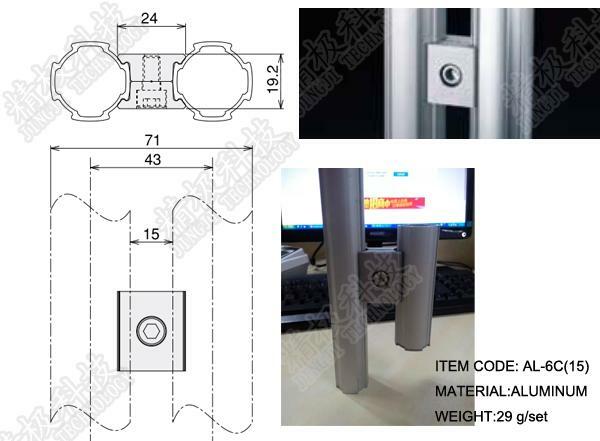 According to the variation of store items can make reasonable design, can be used too classify the store , easy to manage and speed up the staffs' efficiency.Aluminium alloy products with the very big difference in the traditional sense of the bar, it can be applied to shelves, chute, workbench, revolving cars, clean use in areas such as the interval. 2. can use a variety of methods. 3. Can change to deal with emergency. 5. Various parts can be perfect combinated, can make workbench, distribution frame, trolleys, dust-free workshop. The one-screwdriver principle means there is no need to waste time finding the right tools and makes building structures with Line Aluminum Pipe and incredibly efficient process. The fastenes can attached at any position ,meaning there is no need to first work out where they need to be located. 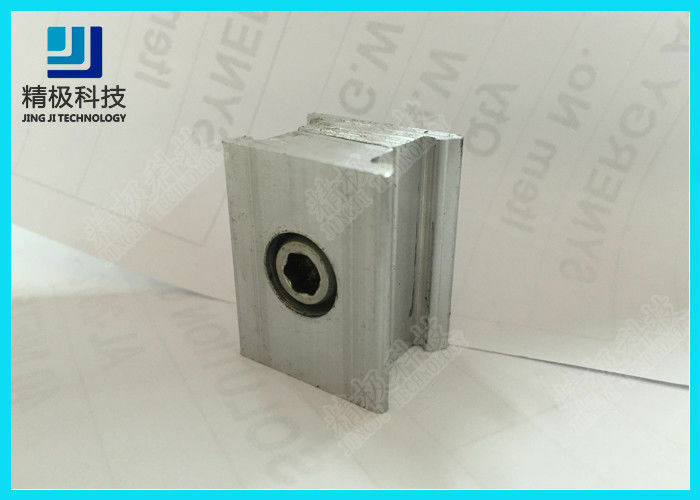 Profiles and Tubes are cut to length-cut-off tolerances and angular erros are compensated by the connecting elements,No further processing in required,as all the connecting elements are applied externally . The quanlity of the design is also clear to see.The high-quality look of the material serves as a lasting reminder of the economic benefits. Made entirely of Aluminum-Tubes,profiles and connectoring elements,The high rigidity ,outstanding corrosion resistance and low weight of this material has resulted in it becoming a tried-and trusted material in many production applications. 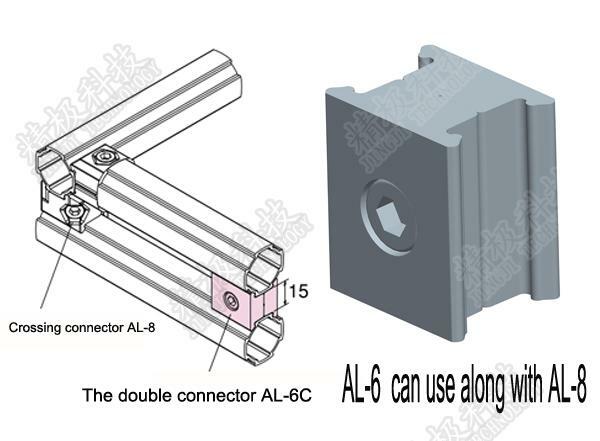 China Good Quality Metal Pipe Connectors Supplier. Copyright © 2014 - 2019 metalpipeconnectors.com. All Rights Reserved.